When you have begun to consider moving and transporting your fitness equipment or home fitness, Tom's Moving will be standing by to provide you with the best home moving services possible. Aside from the best services in the business, Tom's Moving is here to provide you with some insights and advice for moving home fitness equipment. Consider some of these factors while getting ready to make your transition. Your fitness movers will be standing by for call to get you started today. Consider safety and security. This is one of the top factors to consider when moving home fitness equipment. It is likely you have bulky, large, and difficult items to move. 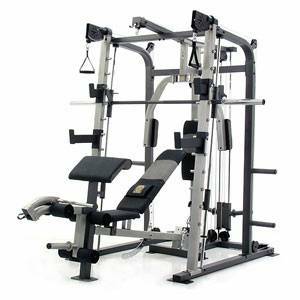 In home fitness you will find many fitness equipment with sharp or dangerous parts as well. Consider how important home fitness movers are in this transition. Avoid a dangerous situation for yourself or your workers by letting the professionals handle it! Aside from personal risk, you do not want to run the chance of equipment or property damage. Choosing home gym movers that are insured is the only way to go. Causing damage to your equipment will only result in more money coming at of your pocket! Convenience. The convenience of hiring professionals for moving fitness equipment. Having confidence and trust in your movers will not only give you a piece of mind, it will allow you to focus on other aspects of your move. You may be in the transition process of moving your fitness location or maybe opening a second location. Your fitness movers are aware of how much can go into this process. Embrace the ability to focus on the many other things going on while we take care of the hard stuff! We do it all! After we create your moving plan, our trained and professional movers will take care of the rest! Disassembly and reassembly will maximize efficiency and get your fitness operation back in action with little down time! Offering custom floor plans, as well as storage and inventory management. Having a system such as this will keep your fitness equipment, and files in order! Tom's Moving fitness movers suggests going over what to considering when choosing the right movers. Thinking about safety and security, convenience to you and your company, as well as transfer details will have you well on your way to getting set up in your new establishment. Moving moving home gym equipment does not have to be as big of an inconvenience as you may believe!